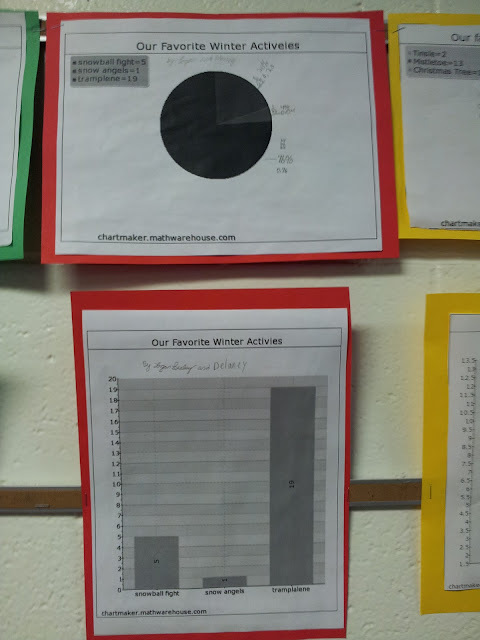 In December, we created and conducted festive winter surveys as a mini math project for collecting and analyzing data since we were getting pretty excited about upcoming holiday events. 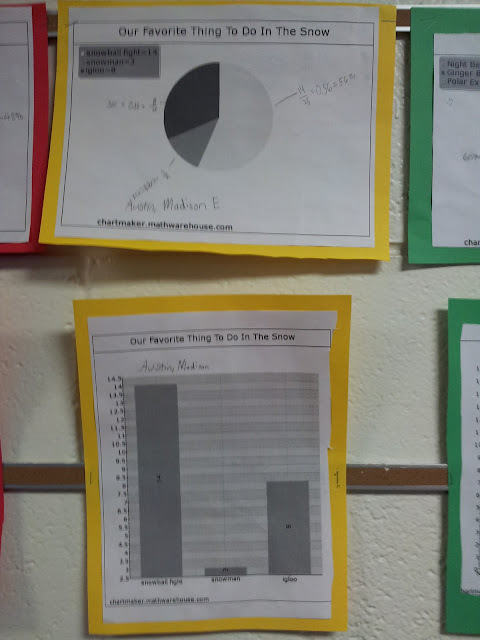 First, we brainstormed possible survey topics with our partner. Then we chose a topic and came up with three possible choices for conducting the survey among our class. 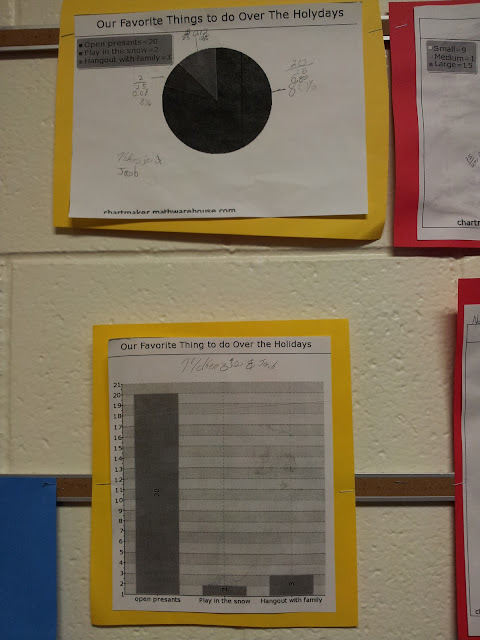 After we conducting the survey (which was quite a bit more complicated that we realized! 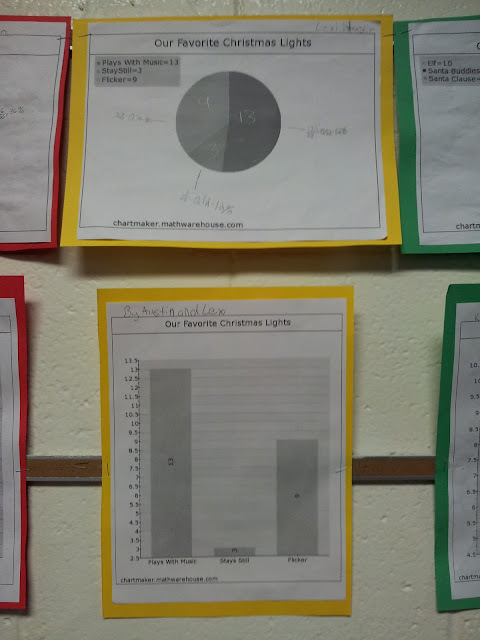 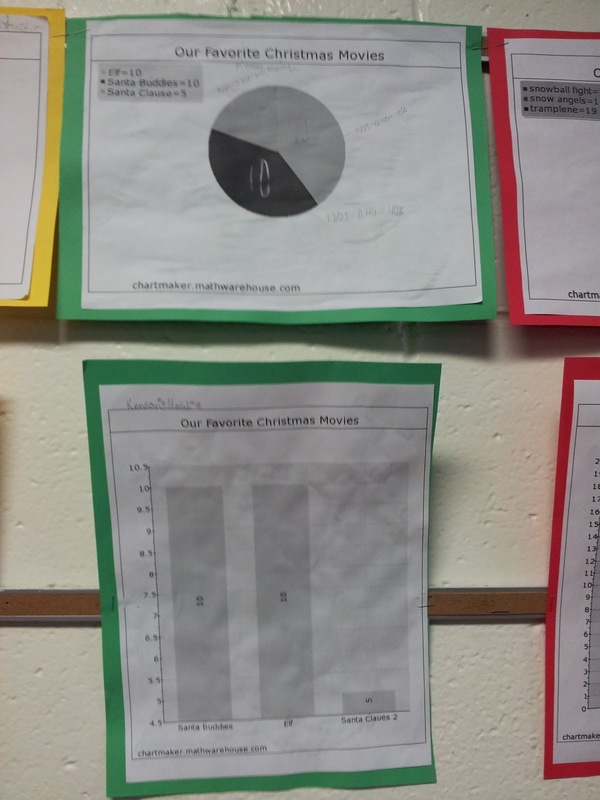 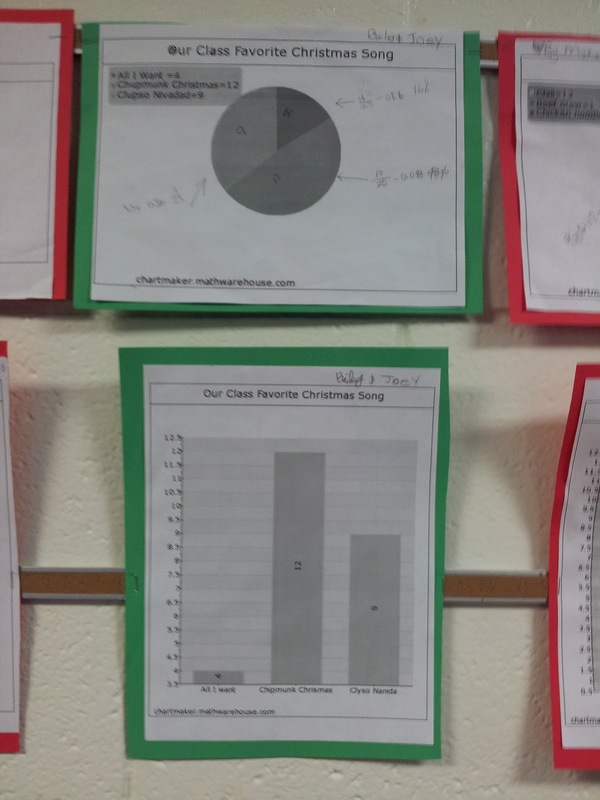 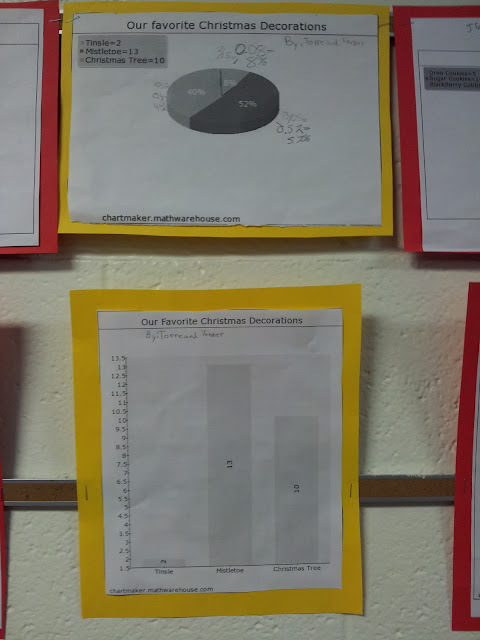 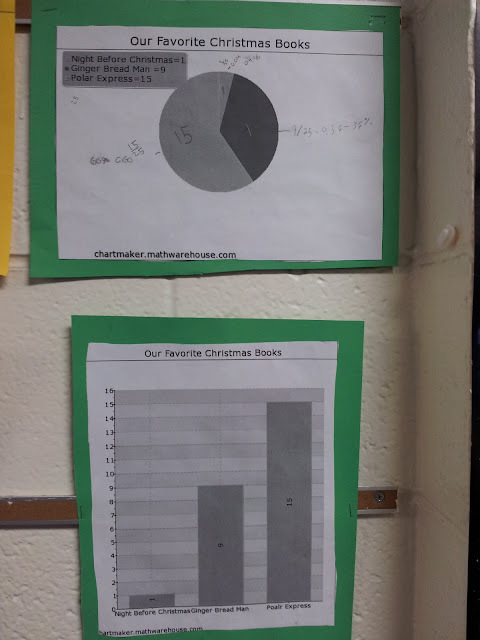 ), we used the results to create a bar graph and pie chart from chartmaker.mathwarehouse.com as visual representations of our findings. 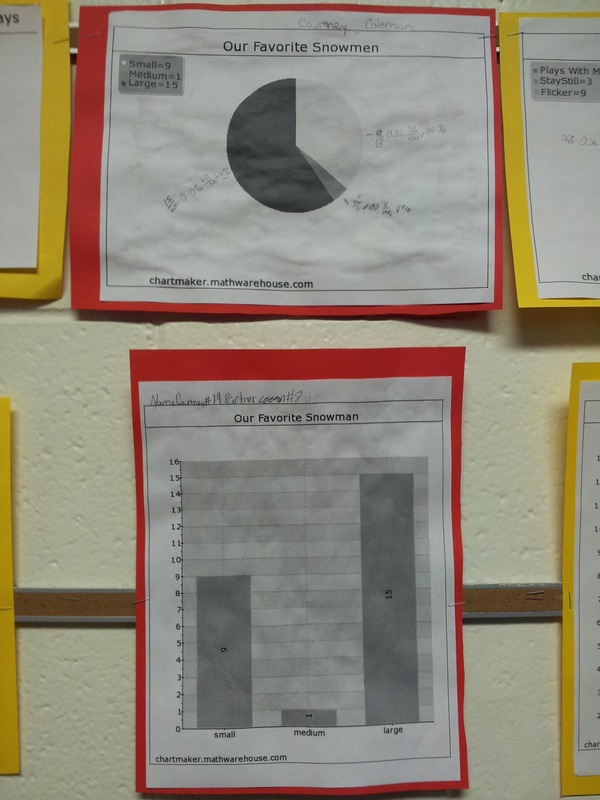 If you look carefully on the pie chart, you will notice we also began to learn a little bit about converting fractions to decimals and percents (but not securely, as that was not the main focus of the project).